Which Room Should You Renovate to Increase the Resale Value of Your Home? If you are considering selling your home, there are many factors to consider. What will your sale price point be? Should you complete any repairs or renovations? Your home needs to be evaluated to determine what can be changed and how you can add value to the home. 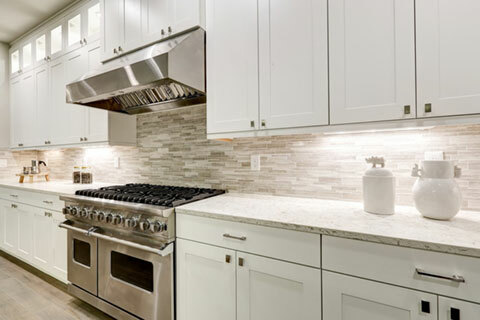 When it comes to renovating rooms to increase resale value, the top choice for most homeowners is the kitchen. Kitchens sell houses, so you want your kitchen to be visually pleasing as well as practical. Potential buyers want to see plenty of cabinet space, quality appliances, and charming features. Take a look around your kitchen. Are your cabinets old or outdated? Are your countertops chipped or an odd colour? Review your kitchen as a potential homeowner. What would you like to see changed? Renovating a kitchen space can add major value to the home, helping you to earn more than you ever thought possible. 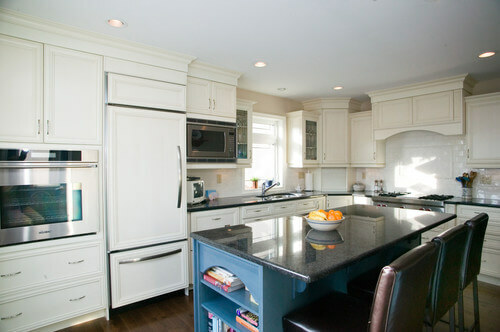 If your kitchen is not in too bad of shape, you might just make a few minor changes to make the space more appealing. This can include painting the cabinets, adding new countertops, a new sink and faucet, and backsplash. Any of these components can go a long way to adding value to your kitchen. Even changing out the lighting and adding new hardware to the cabinetry will help in upping the sales price of your home. If your kitchen is outdated, it is recommended that you consider a complete overhaul. An old kitchen will make your home feel outdated and can put home buyers off. Potential home buyers want to see new appliances, shiny countertops and clean and tidy cabinets. If you have old and discoloured appliances, faulty cabinets and old countertops, the kitchen can be a non-selling point for the home. When your kitchen is in rough shape, consider a full remodel. This would include gutting the kitchen, upgrading plumbing, electrical, and exterior wall insulation, removing the cabinets and countertops, and starting from scratch. This could be a lot of work and time consuming, plus expensive. However, you will have a brand-new kitchen that will help you get top dollar for your home. When selling your home, it is important to look at how much money you can invest into your home to still make a profit. For most repairs and renovations, you may not make your money back with the sale of your home. However, a new kitchen could help you sell your home much faster, and for more money than you could have, if you left the kitchen in “as-is” condition! To find out the best option for you, it’s best to consult with the experts. Contact one of our renovations consultants today at 204.779.6900, or send us an email. Why Do Professional Renovations Cost So Much? Home renovation is a growing, ever-changing industry. As design trends change, contractors must adapt to stay competitive in any marketplace. Building codes change, materials used in renovations become regulated and have basic requirements put on them, and best practices change. In cities like Winnipeg where many homes were built 100 years or more ago, renovators often run into problems like knob and tube wiring and asbestos insulation or have confined spaces to work within. As more and more new homes are built for seemingly inexpensive costs, you start to wonder, why do professional renovations cost so much? Did you know, in the city of Winnipeg, permits may be required for your renovation project? 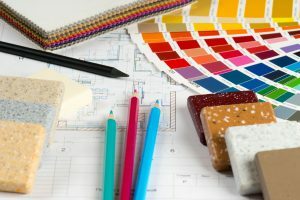 Not only are permits important to ensure safety and other standards are met during the renovation process, but also if you choose to sell your home in the future. Realtors and buyers alike are likely to research past work completed on a home before deciding to make an offer. Not having permits in place can dramatically impact the cost of a renovation, if work needs to be re-done retroactively. Also, if a permit was required for a project, and no permit was pulled, you – the homeowner – could run into some serious issues with your home insurance policy. For example, imagine you were having electrical upgrades done to your home, and instead of using a licensed electrician, your contractor did the work himself without a permit. 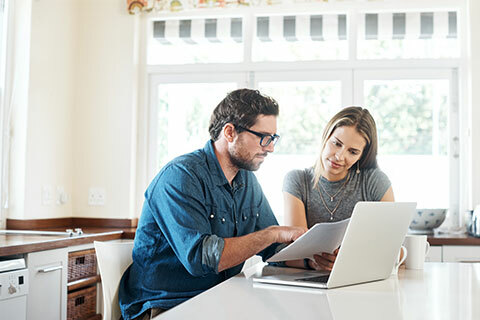 Should there be any problems down the road, say, an electrical fire – the first thing your insurance company will ask you is “who did your electrical upgrade? Was a permit pulled?” Should your electrical fail, and cause a fire that damages your home – your insurance company may not cover the costs of repair. The same thing could be said for any major plumbing upgrades, structural work, etc. At All Canadian Renovations, we ensure proper permits are in place before starting any renovation project. If a permit is required for the project – All Canadian Renovations will pull the required permits. No questions asked. You can learn more about residential building permits on the City of Winnipeg website. Websites like Houzz and Pinterest provide great inspiration for home renovations. However, neither truly shows the depth of work that is required to achieve the pictured result. While it may look like a coat of paint, some new flooring, and new light fixtures were added, there is often much more that goes into the overall process. In a bathroom renovation, for example, the old plaster walls may have been taken down, insulation upgraded, a proper vapour barrier added, and new mold resistant drywall put in place. Before and after pictures may show the colour of the walls changed, but won’t always show the full depth, or the amount of work required. When you get into replacing fixtures and appliances your costs can increase quickly – all with a good return on investment. Newer fixtures are designed to use a lower volume of water or less energy, thus saving you long-term in usage costs, and helping the environment! Upfront the cost will impact the overall renovation cost, but in the long run, it is well worth the investment. New appliances or light fixtures may have electrical requirements that older wiring systems cannot handle, or can but will be pushed close to their breaking point. Upgrading the wiring in your home could be required to meet current fire, safety, and building code standards; this can also happen with old insulation in attics and walls. New insulation is engineered to maintain internal temperatures of the home, while still being safe to have in the home. The long and short of it is, professional renovators have spent the time and energy to become experts in their field. The planning and consideration that they put into your project, in addition to the manual labour itself, account for part of the cost. The other factor is the long-term outcome. True professionals will put the time and energy into the work the first time around, so you can trust that the results will last long after you’ve stopped thinking about the bill. Hello Marcel – Thank you again for helping us renovate our kitchen. Jim did his magic and everything looks fabulous! Thank you, thank you, for all your hard work and support!!! Hello Curtis – Thank you for checking in on us prior to our warranty expiring. Everything in the washroom works, and looks as if you had installed it yesterday instead of 2 years ago. I am pleased to say we have not one single concern. Again, thank you very much for the splendid work. Yes – we will certainly keep you in mind for anything in the future. Many thanks! Thanks so much for the lovely bathroom Curtis. Your crew was friendly , courteous, and helpful. I would not hesitate to call on your company again.